Do you have stacks of old photos lying in your attics or kept in albums, it's time to go digital with the young, startup app Photomyne. Using Photomyne you can digitize your photos within minutes. First you need to install their app on your phone. 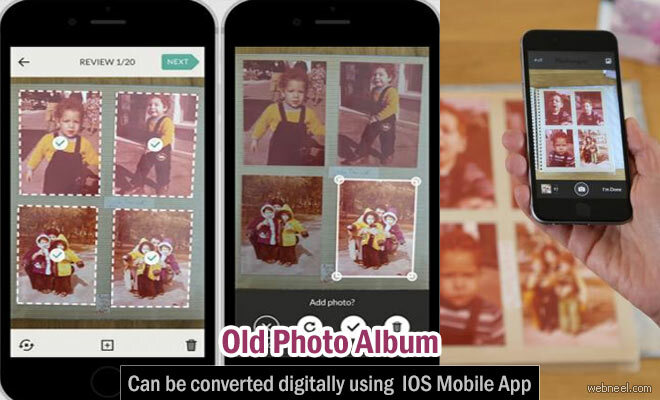 You can scan the old photos using the app and within minutes, you have a digital version. This app allows you to scan entire album pages and internally it crops and saves them as single photos. You can even lay out many single images on a desk for the photo scanning process. According to Photomyne, "Photomyne is the ONLY app that lets you scan multiple photos in a single shot, turn them into live digital records, and share them with friends and family". You can use Photomyne for sharing your pictures on Facebook's timeline directly from your app. You can add the the photos, according to the year it was captured. So if you are a photo sharing person, you will simply love this feature. Photomyne founders Nsir Tsemah, Omer Shor are laughing their way to the banks, since with app downloads, they have made close to 2.6 million US dollars. It's not a huge amount, but since it's a startup company, it's a great achievement. The main reasons people choose this photo scanning app is due to efficieny and the scan technology which is first of it's kind in the world. *Android users will have to wait for some more time, since they are still in the development mode. - Scan as many paper photos as you wish - scan whole photo album pages in one shot! - Quickly create an album - app automatically detects multiple photos in a shot, crops and saves them for you! Old Photo Album can be converted digitally - IOS Mobile App Neel Do you have stacks of old photos lying in your attics or kept in albums, it's time to go digital with the young, startup app Photomyne. Using Photomyne you can digitize your photos within minutes.